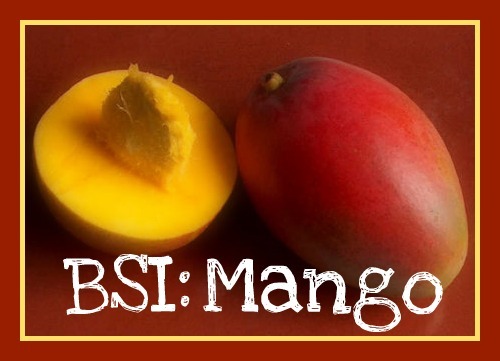 Great BSI pick! I’ve updated you on my BSI page – thanks for hosting this week! oh yummy!!! I have been eating the most wonderful mangos from peru lately….they are like eating candy. Sooo delicious and my store has had them on sale for 80 cents each! Yay! Thanks for hosting bsi! Yay! Mangoes are my favorite fruit! I have a super fun idea to use them in…hope I can get it done by Sunday! that salsa sounds DELICIOUS! Definitely the perfect refreshing topping for any grilled meat! I love mango salsa…..and I think it is the biggest reason I love fish tacos! Yummy! 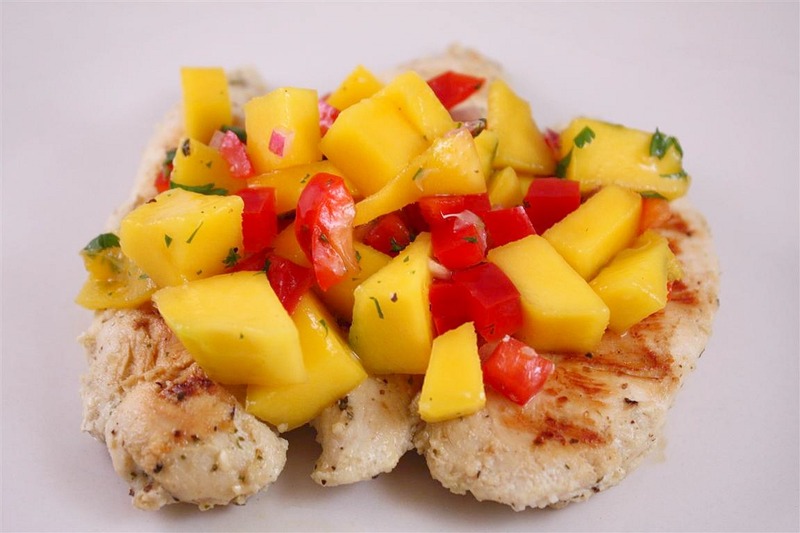 Mangoes rock and so does mango salsa. I make mine with a can of crushed pineapple as the base and add from there. So easy and so fresh! I so can’t wait until they come in season here in MN! Thanks! I’ve never tried mango salsa. I must remedy this immediately! 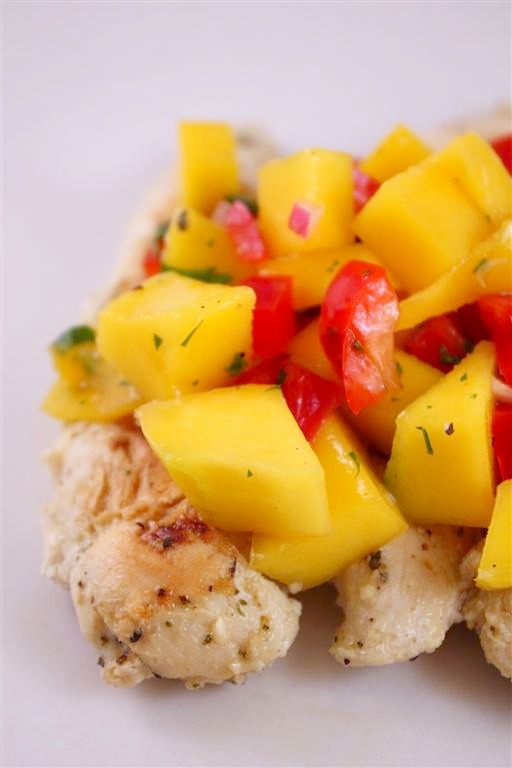 Mango salsa has such bright colors and flavors, wonderful over chicken! I haven’t seen BSI go around for a while now. I’m glad it’s back. I love mangoes! Your salsa looks fantastic…puts me in the mood for summertime!! Oooh mangoes….I usually like them by themselves, but salsa sounds wonderful. And I TOTALLY agree. No measurements!! Cooking is supposed to be a personal taste thing, not a precise science. Mangoes is a great choice. I am surprised, no one picked it before. Good for you, BRandy. Mango salsa looks yummy.I love mango.I have linked one of my recipe. This looks so fresh and delicious! I love your new look! You know what’s weird? I was planning a shrimp and mango dish for this weekend…It was meant to be. Oh boy! Mangos are my favorite fruit–so much so that I usually refuse to make ANYTHING with them b/c I am a mango purist. But there is a very simple salad I enjoy making with them (only when I have a surplus, of course, otherwise it would be sacrilege) so if I can find some ripe ones before Sunday, I’ll make it for BSI! Now I’m really wanting that salad so I hope I get lucky with the mangos. Usually the ones I buy at the grocery store take 1-2 weeks, sometimes a month (!) to ripen. Here is my entry – thanks for hosting this week!